BRP, a world leader in powersports, has introduced its corporate initiatives to celebrate Earth Day. 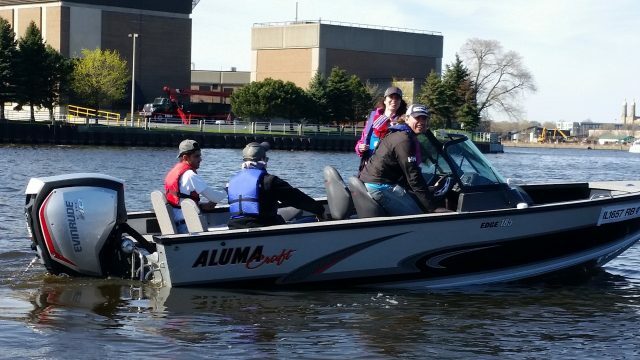 The Evinrude brand took part in Milwaukee Riverkeeper’s 22nd Annual Spring River Cleanup held on Saturday April 22. 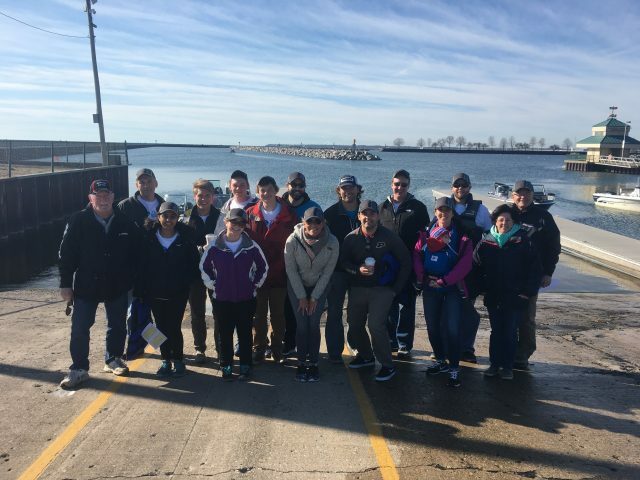 Joining over 4,000 volunteers picking up trash along the Milwaukee River Basin, 31 Evinrude employees walked the beaches while seven Evinrude E-TEC powered boats with 24 additional volunteers picked up trash in previously inaccessible parts of the river. The company had a tent set up to distribute free fruit to volunteers at the Rock the Green Earth Day Celebration following the cleanup. BRP has made a significant investment in fuel emissions research culminating in the breakthrough invention of the Evinrude E-TEC G2, the cleanest combustion outboard engine in the world. E-TEC G2 outboards deliver up to 20-percent more torque, up to 15-percent better fuel efficiency and up to 75-percent fewer total regulated emissions than leading competitive four-stroke engines. The engine’s CARB Three Star rating is the highest standard attainable for outboard motors and is even stricter than EPA regulations. The company has donated outboard engines to the University of Wisconsin-Milwaukee’s School of Freshwater Sciences for use on two research vessels. Further, the company has launched the BRP/Evinrude Water Research Excellence Fellowships. The two $5,000 inaugural fellowships were awarded to Brennan Dow and Christopher Suchocki. Dow is working on a harbor habitat assessment and mapping project in Milwaukee and Suchocki’s thesis will hopefully lead to a position in aquaculture or hatchery management. Recently, BRP partnered with the American Boat & Yacht Council (ABYC) to donate a newly refurbished 90-horsepower Evinrude E-TEC outboard engine to the West/Rhode Riverkeeper. The West/Rhode Riverkeeper serves as the only citizen-based environmental organization whose sole mission is to preserve and protect the West and Rhode Rivers. BRP’s on-site wastewater treatment system – used for many of its production processes – was recently recognized with an award from Racine Wastewater Utility for excellence in facility wastewater management for the past fifteen years. 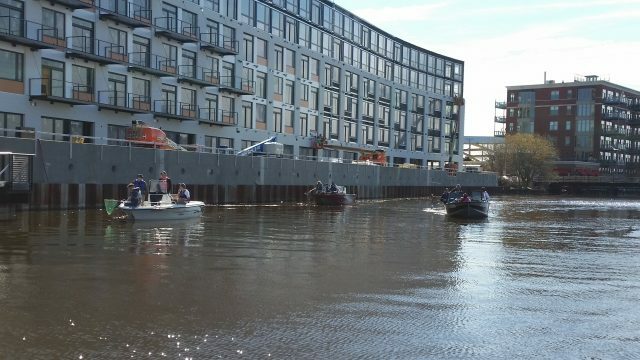 BRP has invested in methods to conserve water and minimize process waste through projects such as a closed-loop water system to test and validate outboard engines for which the facility received an Earth Day Award from the Wisconsin Sustainable Business Council. In addition, BRP engineers collaborated with the National Marine Manufacturers Association (NMMA), the ABYC, and other boat and engine manufacturers across the industry in a research program to validate the compatibility of biobutanol fuel blends with recreational marine engines and boats. BRP’s Evinrude engine line up, from 3.5 to 300 HP, offers customers superior value across a full range of applications. The all-new Evinrude E-TEC G2 engines are now available from 150 to 300 HP. Engines are available at authorized Evinrude dealerships worldwide. Follow Evinrude on Facebook at www.facebook.com/brpevinrude. For a complete list of new and existing Evinrude dealers, visit www.evinrude.com.